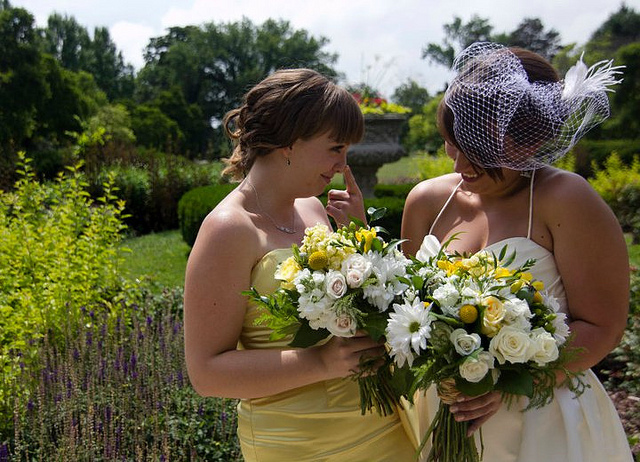 Being a true friend, it is a natural instinct to feel happy and excited for the bride’s wedding. The happiness and excitement grow more as you are selected to be the maid of honor. It is a big honor to be a maid of honor at a very special occasion like this especially if the bride is someone you cherish. As the bride has enough trust in you, it is necessary to do all your responsibilities and duties with passion, commitment and joy. Let’s discuss about the tasks assigned to you particularly on the day of the wedding. Hours before the ceremony starts, there will be several things you have to do. This is the most critical part of all your responsibilities because it’s close enough to the time you all have been waiting for. 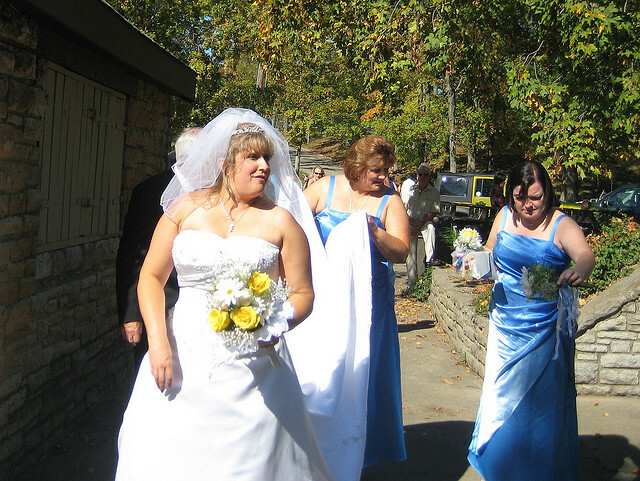 A common duty of a maid of honor on the wedding day is to help the bride in getting dressed. You must ensure her bridal dress is ready for wearing. Check all the details and see if there are any scratches, stains or whatever that you need to fix. Yes, you are responsible to see those things for her. Other than the dress, you also help her wear the pieces of jewelry, accessories like veil, shoes, bouquet, etc. While you concentrate more on the bride, do not forget that it is under your responsibilities also to look after the bridesmaids. You see to it that each and every one of them has dressed with their makeup on, jewelry, accessories and others. They need to be ready as well and make sure they are all present right after the wedding processes start. You are also responsible in giving the bridesmaids their bouquets. Everyone needs to hold their own bouquets once they are dressed. Likewise, you give them the corsages if they have one each. For the groomsmen, provide them or check their boutonnieres. Sometimes, you are the person who will pin those on their suit. Aside from your own bouquet, the groom’s ring is what you have to keep in your hands most of the time. Before you march down the aisle, the ring has to be with you already so you can just hand it to the bride during the ceremony when it’s time to exchange rings. This is one important thing you are going to hold for the wedding. You also check the venue if everything is ready and in place. Check the chairs if they are all arranged properly according to the original seating plan. See if the decorations are also displayed as they are supposed to be. The photographers, videographers, musicians and ushers have to be checked as well to see if they are ready. Most importantly, the clergyman who is going to minister the ceremony must be present. Once everyone is ready, then you can relay the message to the groom and to the bride that it’s time to begin the ceremony. The most awaited moment is about to begin. Pressure is in all participants including you, especially you as the maid of honor. 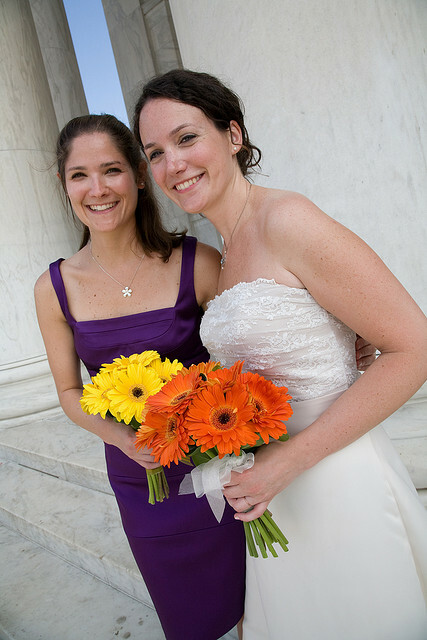 Aside from wearing smiles all throughout the ceremony, you have a few things to keep in mind and do. Seconds before the bride makes her biggest and memorable walk, see to it that her veil is worn properly, and the train to be blooming in its beauty on the floor. These are small details but important ones to look for and check. There will be times during the ceremony wherein you hold the bride’s bouquet. You must be alert and quick to get it so not a single minute is wasted. You also have to know when to give it back to her. The most essential thing you have to do during the ceremony is to witness the entire special moment. It is a big privilege and honor to be standing there near the couple who is getting married. This is something everyone’s does not want to miss at all. Your reaction from your face must be evident that you are happy, proud and supportive for them. For some minutes, you have to be doing other things right after the ceremony. You must keep all these in mind because everything you do here is also important. One very important task of a maid of honor is to sign the marriage license. You are a maid of honor and a witness at the same time. Other than signing it, you ensure that the other witnesses have placed their signature on the contract. There will be picture taking after the ceremony. You must gather everyone involved and make sure they are in the right place. It is important that the family members, entourage members and witnesses have photos with the newlyweds. Your duties and responsibilities do not end after the ceremony. You still have some more to do during the reception. You are one of the people in charge to make sure everyone is seated on the right chair or table. There may be some people who need assistance in finding their chairs. Other than the guests, you must ensure that the bridesmaids and groomsmen, as well as the parents of the couple to be sitting on the proper places. 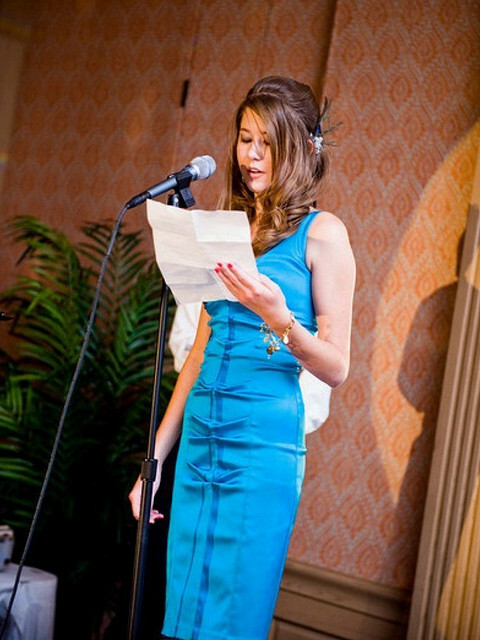 One of the speakers, the maid of honor has to give her speech during this celebration. You must prepare yourself and set aside the nerves so you can bring out the best speech. You need to make the newlyweds and the audience smile. The bride is anticipated to toss her bouquet. You and all single ladies should be there to participate. It is your job to invited and compel ladies to join with you. After the meal and slicing of the wedding cake, there will be fun on the floor where you can dance and party. You deserve to enjoy that moment so find yourself a spot and maybe a date too, like the best man, to dance. The role of a maid of honor is such a special honor and privilege. You must never underestimate her duties and responsibilities. But you make sure you are fully ready and committed to do them all.